work together, with patient care as our priority. 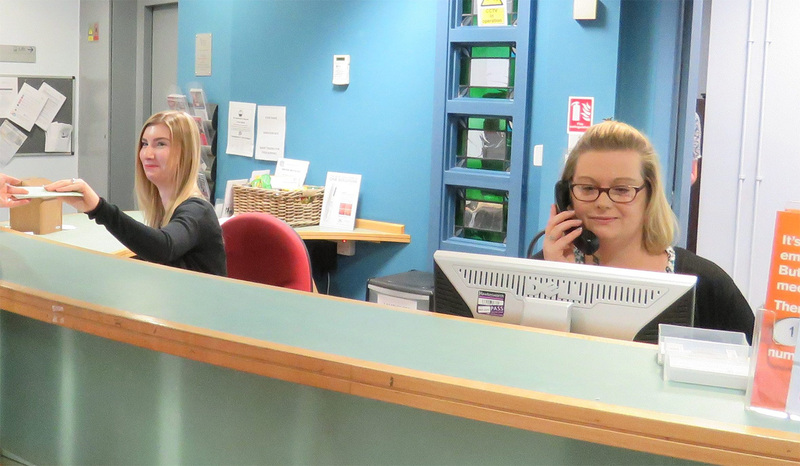 Blacketts reception team are happy to greet and assist you. Our patient care advisors can give you further information, they are trained care navigators and have completed courses in medical terminology. We also have patient care advisors who specialise in repeat prescribing. Patients at Blacketts are given a named GP who is responsible for your overall care at the practice. Please contact the practice if you wish to know who this is. We will make every effort possible to allow a preference in your named GP, but this is not always possible due to fairness in the GP workload. We know that patients value continuity of care and we would encourage patients to see the same doctor if possible. Our appointments system allows patients to see a health professional within an appropriate time frame. Repeat prescriptions may be re-ordered via several methods, including online. If you are considering contraception, it may help to discuss the options that are available. We are a friendly, forward thinking Practice committed to serving the needs of the younger members of our Practice population. If you are looking for physiotherapy, skincare or chiropody treatment in Darlington we have specialist private services within the Practice. Our No-Scalpel Vasecotmy clinic is an NHS service for patients in the Darlington area. Carolyn Corner and her colleagues have been located within Blacketts Medical Practice since 2004. Blacketts Podiatry are a well established practice providing patients with short waiting times and a professional service. GPs Andrew Michie and Andrew Baines have been performing procedures for many years under arrangements with the NHS Trust. The clinic is situated within Blacketts Medical Practice. It has a separate waiting area and treatments are carried out in a comfortable, private consulting rooms. The clinic offers a wide range of bespoke treatments designed to restore or enhance your natural looks, or treat a specific skin problem. These include laser hair removal, thread vein removal, skin rejuvenation, microdermabrasion, dermal fillers, line and wrinkle reduction.